Arnaldo Campos dos Santos Coelho was born on 15 September 1932. He studied biology at the Universidade Federal do Rio de Janeiro and entered the Museu Nacional as a student in the early 1950s. After his graduation he became responsible for the Malacology Section as Curator and was the advisor of students in several areas of malacology. During the 1990s he was acting Director of the Museu Nacional. In 1999 he received the title Professor Emeritus of Universidade Federal do Rio de Janeiro. 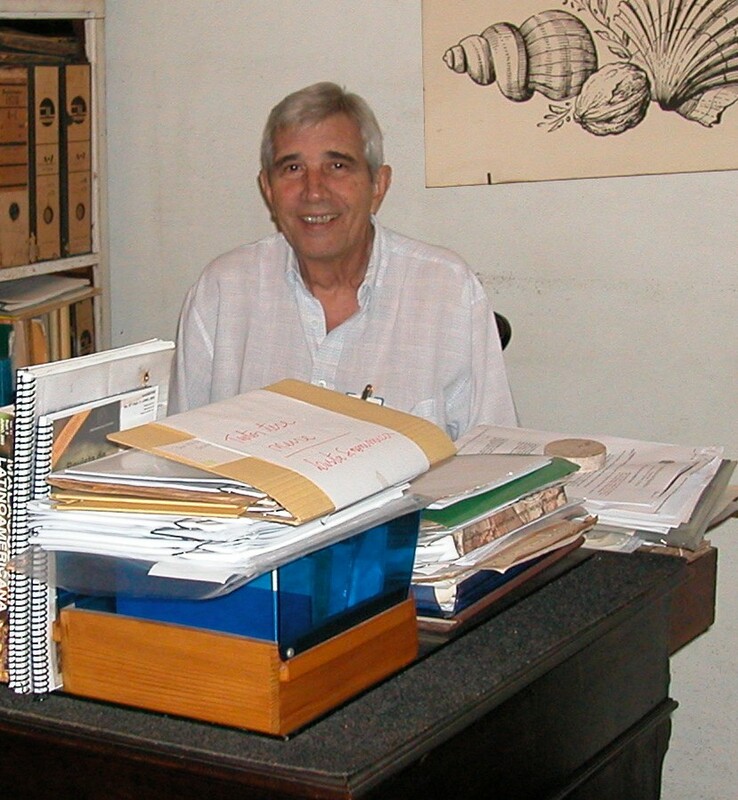 He was a founding member of the Brazilian Society of Zoology (SBZ) and the Brazilian Society of Malacology (SBMa), being President of SBma for several years. My first visit to Rio de Janeiro was in June 1975, where I met Arnaldo at the Museu. He was a very nice man and we had a good contact. He also took me to the Campus Universidade Federal Rural, where I met Hugo Edison Barboza de Resende and José Luis de Barros Araújo. All three malacologists where actively involved with studies of different species from the Orthalicoidea. I revisited the Museu Nacional in May 1976, and our contacts also lead to joint publications (Breure & dos Santos Coelho, 1976; Araújo & Breure, 1977). Unfortunately, a plan of Arnaldo for some months of joint research in Rio de Janeiro failed to materialize. Professor Arnaldo dos Santos Coelho passed away on 7 July 2015. I am grateful to Alexandre Dias Pimenta (Museu Nacional) for information, and Júlio César Monteiro, who took the photograph above in 2005. This entry was posted in Uncategorized on October 21, 2015 by bramb.